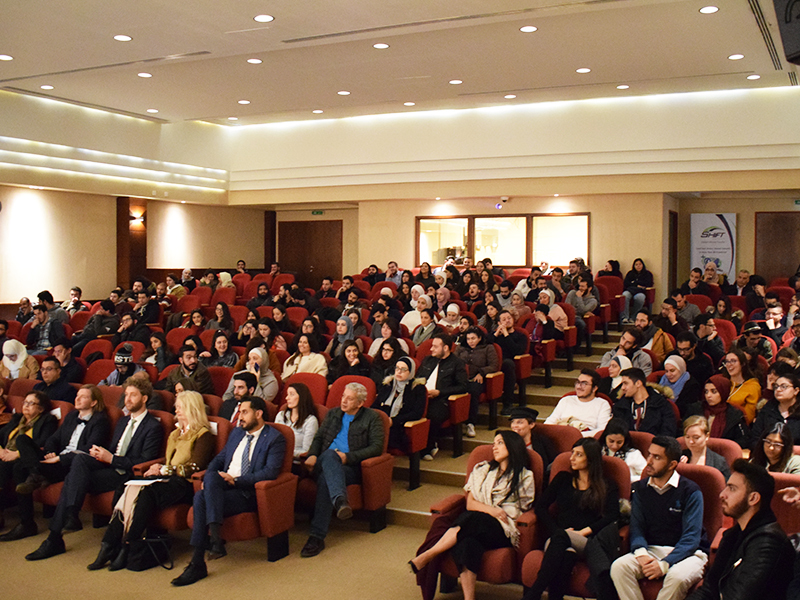 The ceremony was attended by the President of GJU Prof. Manar Fayyad, Vice Presidents prof. Atef Kharabsheh and Prof. Dorit Schumann, the Dean of Deanship of Student Affair, Dr. Raed Khasawneh, the Cultural Attaché at German Embassy, Mr. Tobias Caris. 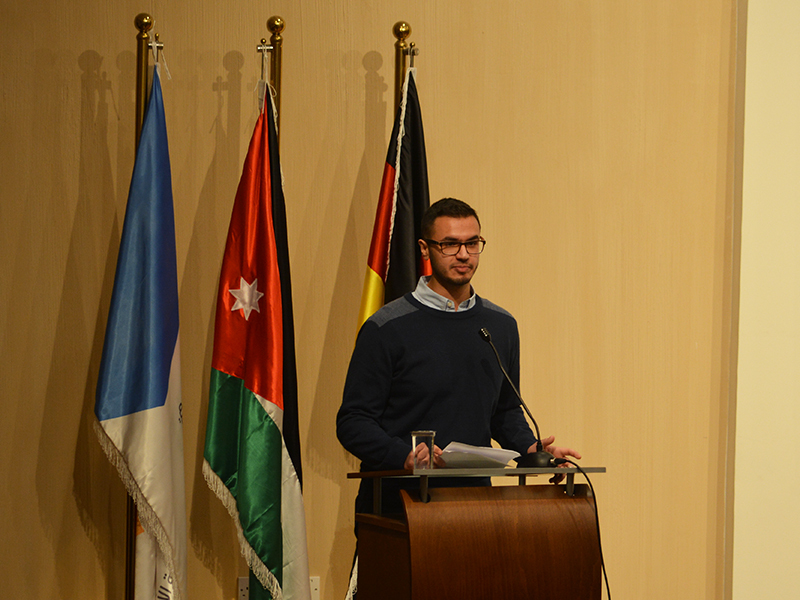 Prof. Manar Fayyad explained that the German Year is important Pillar where the students develop their personalities, skills, and experience. 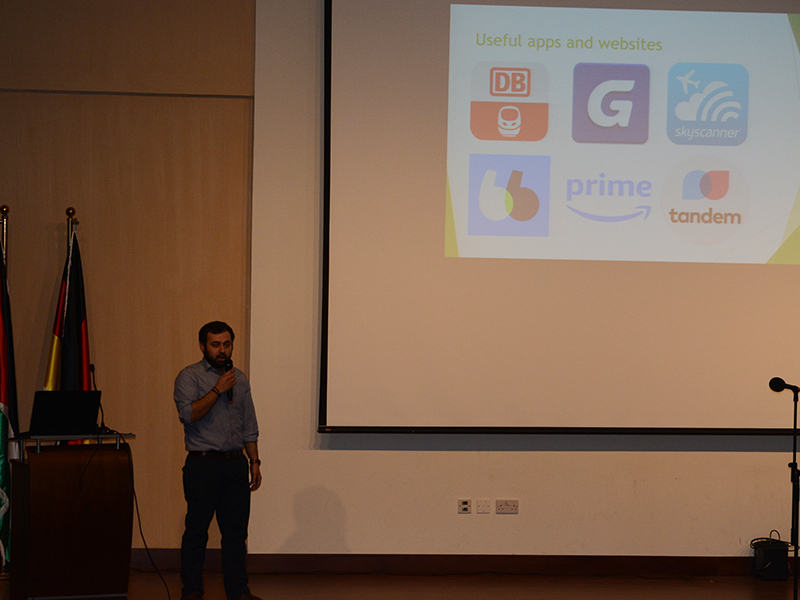 Fayyad encouraged the students to benefit from this opportunity in enhancing their German language and learn about different cultures. She assured the students that the involved parties at GJU and the Project Office- Magdeburg in Germany are ready to support them in any issue. Prof Schumann thanked the Project Office at Magdeburg and DAAD for their support to GJU. In her speech, Schumann focused on the intercultural aspect of the experience, encouraging the students to engage, explore and enjoy. Director of IO, Mr. Jens Hegemann, congratulated the students for reaching a turning point of their lives, as he also directed the students to benefit from today’s event and learn from previous students' experiences, assuring them that they will be provided with all support and assistance during their stay in Germany. On the other hand, Dr. Khasawneh and Mr. Caris wished all the success to the students in their upcoming journey, advising them to think about this experience as a transformation phase to the best not just as a graduation requirement. IO and OIL with the assistance of GJUs’ students conducted presentations on “Living and Studying in Germany” and “Internship in Germany” besides an introduction by Ulrike Marquardt from the Project Office at Magdeburg. 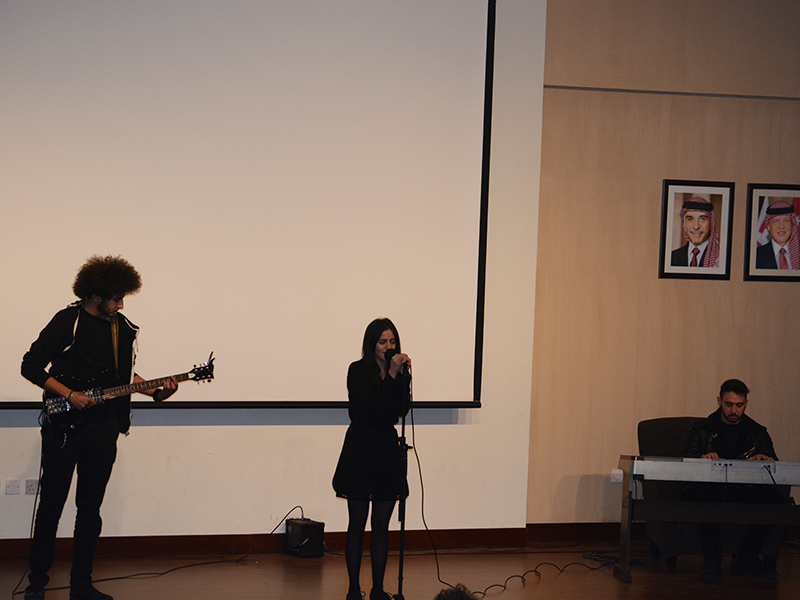 In the end, a musical performance was presented by three GJU talented students. Afterwards, IO, OIL, some Exchange Coordinators and the outgoing students gathered in an informal evening in a pleasant and enjoyable atmosphere with a nice buffet, some dance performance and lots of music, where the participants had the chance to meet future fellow students of their German universities and to speak German with the IO and OIL colleagues.